Leroy Watches Jr. Is Free Sunday 10/19/2014! Today! Leroy Watches Jr. is a very good man. He’s an upcoming shaman whose grandpa is Grandfather, the famous Native American shaman of Mogollon: A Tale of Mysticism & Mayhem. Leroy has the Power in his blood. He’s been healing people and animals since he was four. He should be able to change the world, except for one thing––that Coyote. The Trickster, the Native American spiritual entity that pops little jokes all the time, LOVES Leroy. Everything the poor man tries messes up. He’s seen by his people as a joke, not a hero. What can a son do? Leroy goes to the rodeo and helps his dad. Days later, he’s the FBI’s Most Wanted Fugitive. Go here to download the Kindle Leroy in the US! Go here to download the Kindle Leroy in the UK! Huh. Doesn’t give pricing. Maybe it’s free? You can still get my gift for free. See below. WHO IS VANESSA SCHIERMAN PhD, WITCH? She’s a witch, first off, and a character that runs throughout my upcoming novels, starting with her own short story (which is pretty honkin’ long, really) presented below. She’s all over In Love by Christmas, my Christmas book which is coming out in days. 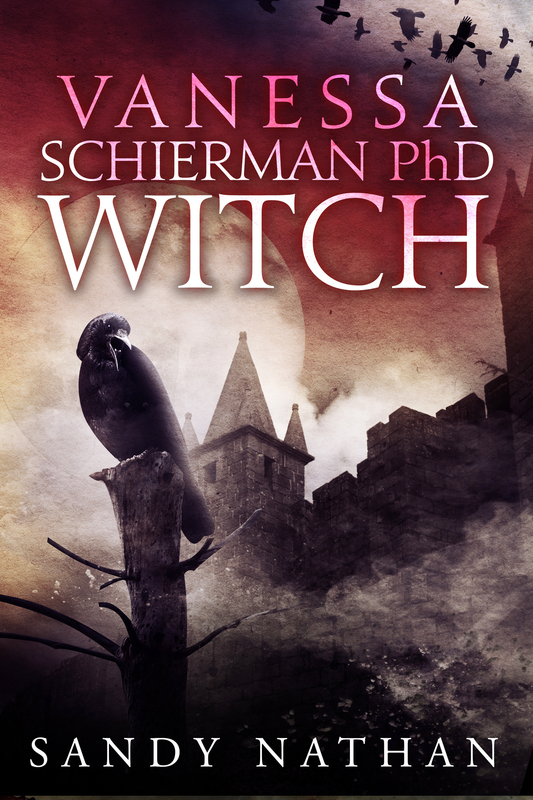 Vanessa Schierman PhD, Witch will be a book of short stories about Vanessa and her eccentric and increasingly dangerous-to-others life. The first story is “The Richest Person in the World.” That’s Vanessa. But she’s always had such good taste and modesty that she didn’t brag about it or reveal the extent of her assets. Something happens that peeves her––so she tells all to NET WORTH Magazine. The rest … you’ll have read the story. Which you can very easily. 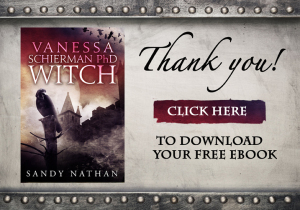 To download Vanessa, go to my website, SandyNathan.com, and hit the button at the top of the first page. That will take you to a page from which you can download a copy of your choice––mobi, epub, or pdf. I’d love it if you signed up for my mailing list, too. The signup box is right there … Vanessa’s short story is a gift, I’m not going to coerce you into “you gotta sign up to get the book,” but good manners are good manners. Vanessa emphasizes this again and again. Of course, she is a witch.